A new anthology of poems titled 'New Brazilian Poems', translated and edited by Indian poet-diplomat Abhay Kumar was launched here at the National Association of Writers of Brazil. 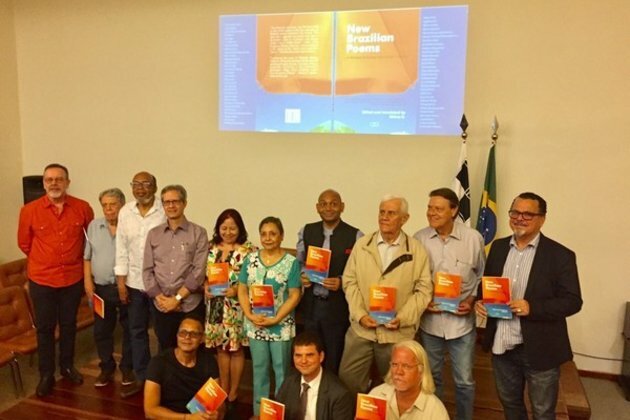 Brasilia: A new anthology of poems titled 'New Brazilian Poems', translated and edited by Indian poet-diplomat Abhay Kumar was launched here at the National Association of Writers of Brazil. India's current Ambassador Designate to Madagascar, Kumar opined: "When I arrived in Brazil, I did not know a single word of Portuguese, I learned it and slowly started translating poems I liked from Portuguese into English. Over three years I translated works of over 120 Brazilian poets however have only included works of the 60 poets active in post-1972 period to expand on the great work done by poet Elizabeth Bishop to take Brazilian poetry to the world." Speaking on the occasion, the President of the National Association of Writers of Brazil, Fabio de Sousa Coutinho said: "Today's launch at ANE's headquarters is the culmination of an exemplary trajectory, traversed by the Indian intellectual and diplomat Abhay Kumar in the last three years in Brasilia. Abhay exercised among us, with visible results, one of the noblest forms of diplomacy, namely, the bringing people together by cultural ties, always bearing in mind that culture is the ultimate bulwark of democracy, universal value." Coutinho further remarked, "In doing a review of Elizabeth Bishop's work, Abhay K expanded the 1972 initiative of the formidable American poet, quadrupling and completely revamping the original selection of only 14 poets. In the book, his editorial criterion was the quality of poems, that includes the work of sixty poets." The event, held on January 17, was attended by a large number of poets, diplomats and intellectual community of Brazil.